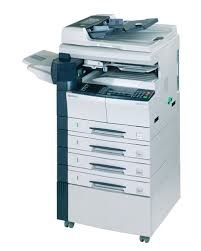 The 50 page-per-minute Kyocera KM 5050 is a multifunctional device. 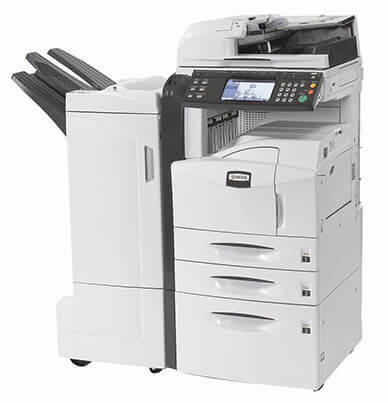 It is well-equipped with copier, printer, and scanner modes from the start; the fax mode is an optional addition. 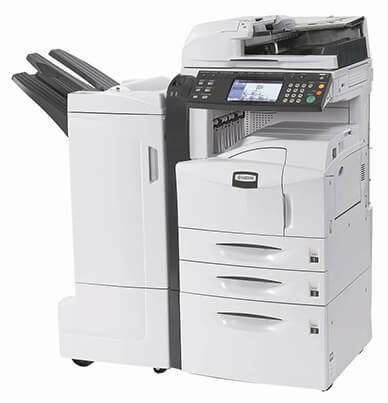 The monthly duty cycle for the Kyocera KM 5050 is rated by Kyocera at 200,000 impressions making it ideal for busy offices. 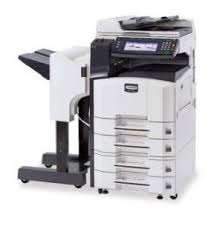 Accommodated paper sizes go up to ledger size giving the user flexible paper handling options. 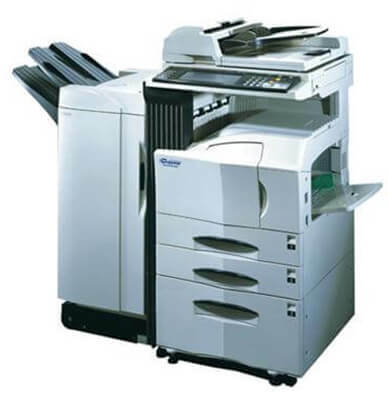 Media types that the Kyocera KM-5050 can process include letterhead, envelopes, labels, and transparencies. 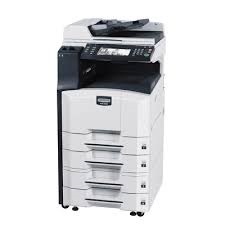 Storage space is abundant; starting off with dual 500-sheet drawers. Various paper trays are available to expand the storage to its maximum of 4,200 sheets. This includes the generous 200-sheet bypass tray that is a standard feature on the KM-5050. 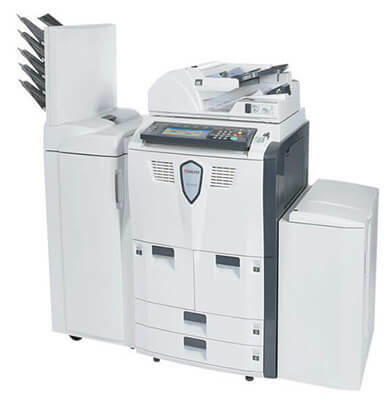 Automatic duplexing also comes with the purchase of the monochrome machine. 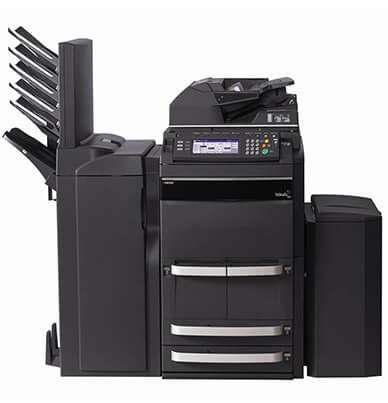 This user-friendly feature can transform single-sided input into professional-looking double-sided output. 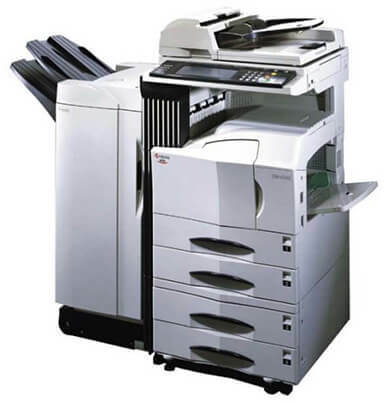 Toner for the Kyocera Mita KM-5050 is available in both the genuine Kyocera brand and Precision Roller’s premium compatible. 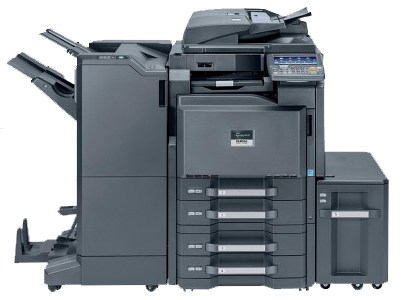 The toner cartridge (TK-717) includes two waste containers; either option has a robust projected yield of 34,000 pages at 5 percent coverage.